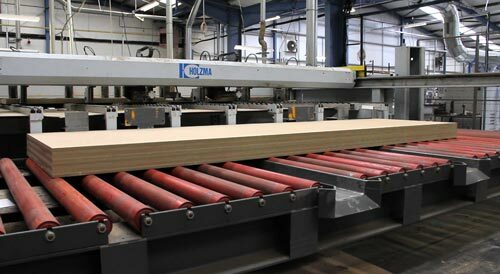 Polyco Limited is located in Newtown, Powys and manufactures real wood Veneered and foil Wrapped MDF profiles. Our real wood veneers offer the same look and feel as solid timber and are ready for a wax, oil, lacquer or wood stain finish. Our foil wrapped profiles are fully finished - no painting or decorating required. 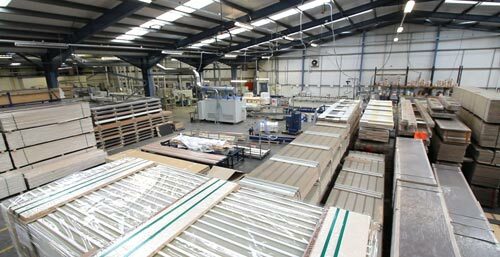 With four production lines, Polyco services an ever expanding number of sectors with a flexible production facility producing architectural profiles, picture framing, coffin components, kitchen components and flooring accessories. Although Polyco offers a core range of products in stock veneers and foils, bespoke profiles wrapped in veneers or foils of your choice can also be manufactured – why not ask for a quotation! Our Wrapped MDF products offer a fully finished solution - no painting or decorating required!